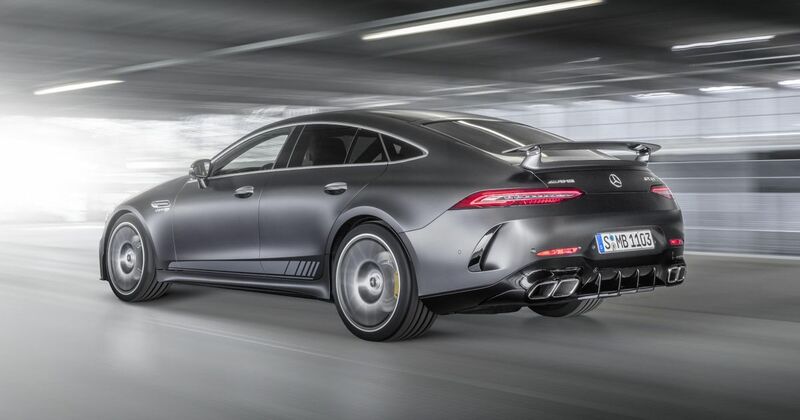 We already know all about the new, four-door GT model from Mercedes-AMG. It’s set to be quite the tool when it comes to scaring your passengers. Now there’s a special launch model with a whole load of AMG goodies bundled in… for a price. Edition 1 trim can be added to the range-topping 63 S model, which means the same 4.0-litre twin-turbo V8 you’ll find in a good few AMG models these days, here coughing up 621bhp and 664lb ft. It’s good for an autobahn-storming 195mph and can crack the 0-60mph launch in 3.1 seconds. 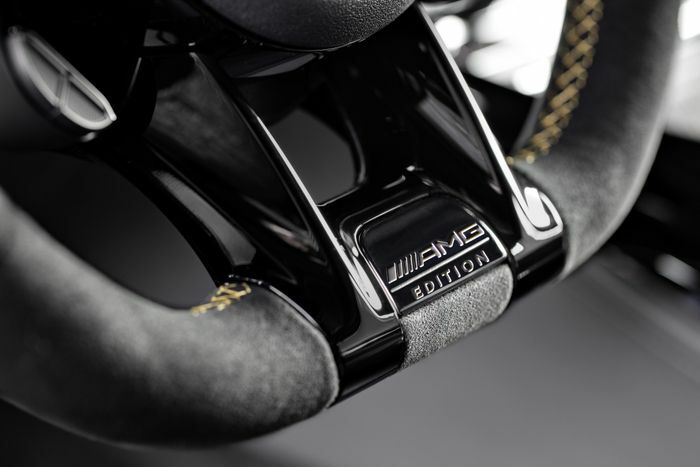 But since you’re no doubt clamouring for more info on the AMG upgrades, we can tell you that they’re limited to the seats, aerodynamics kit and a few aesthetic niceties to remind you at every turn of your neck that it’s an Edition 1. 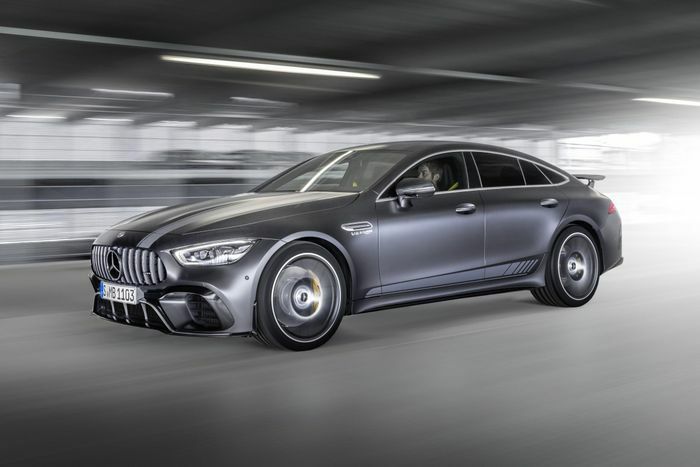 The car, which won’t be limited to a set number but by virtue of what it is will be quite rare anyway, starts with AMG Performance seats that grip you tighter, finished in black and grey leather with yellow contrasting stitching. In the cabin they’re joined by AMG Matte Carbonfibre trim. The AMG Aerodynamics Package is also standard on the Edition 1. It grants a larger front splitter and, in the US, extra ‘flics’ on the front bumper. They aren’t allowed on the EU-spec car for pedestrian safety reasons. 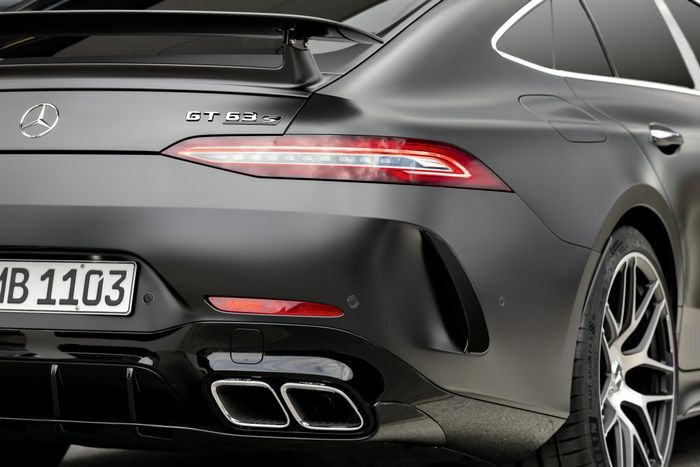 The rear diffuser has been ‘optimised,’ while the fixed rear spoiler’s angle can be adjusted from the cabin. That’s good news if, say, you’re just bimbling along in a low-drag setting and suddenly find yourself in the middle of an alien invasion where handling and stability become priorities. Or for track days. Whatever. The package significantly reduces axle lift at both ends of the car for a more secure high-speed feel. Mercedes-AMG hasn’t listed a price for the Edition 1 package, but it’ll no doubt stretch into five figures no matter what currency you deal in. Please don’t ask us to work out how many zeroes the Yen cost would theoretically have. The GT 4-Door Coupé doesn’t officially go on sale until late this year, at which point we expect to find out official pricing for the Edition 1 add-ons.